Connect with thousands of qualified buyers. Send us your basic information and vehicle details. You will receive instant purchasing offers from qualified buyers. 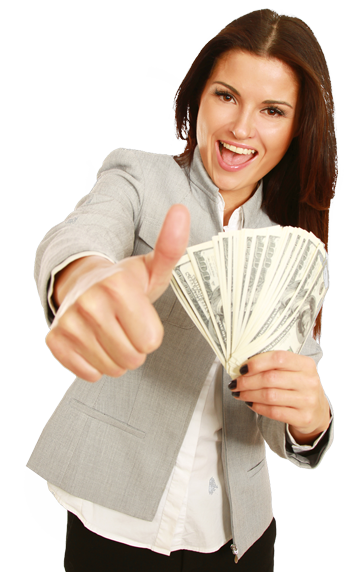 Once you accept an offer you will get paid fast. Our process is simple, safe and fast! We know how stressful it can be to sell a car! Dealerships will try to give you the run around because they're trying to pay as little as possible for your vehicle, or they'll make you a better offer while trying to pressure you into a trade-in. Selling a car, truck or SUV on classified pages can be a nightmare too. The phone won't stop ringing and you'll have to answer the same questions over and over again. Half of the people don't show up for appointments, and those that do are always trying to negotiate the price. That's why we created Cash for Cars Now. We wanted to make the process of selling a car convenient, simple, and fast. Most of all, we wanted to make sure that people got top dollar for their vehicles. Our network of buyers have been hand-picked by our staff to make sure that they're serious about purchasing. We'll connect you with local people so you can quickly get the cash you need and be on your way. Sound good? Just fill out the form below, and we'll get started! We have gathered top qualified car buyers and connected them to sellers through a network that offers more money for your vehicle. Cash For Cars Now makes selling your car, truck, or SUV easier than ever! Instead of visiting tens of dealerships to find the best deal, we do the work for you. The process is simple: we post your vehicle on our site and real buyers bid for it. The dealer with the highest bid will then contact you directly to make the purchase. Our team works to bring together everyday folks looking to sell their car, truck, or SUV for the best price, without being exploited by a trade-in or a car buying shark. Get cash for your vehicle today by filling out our simple form. I would like to thank Cash for Cars for helping me sell my car fast and secure. You guys are amazing! My car was sold fast and I was able to get top dollar for it. I highly recommend Cash for Cars to all my friends and family! You will get instant online offers. With a simple form! © Copyright Cash for Cars Now. All Rights Reserved.